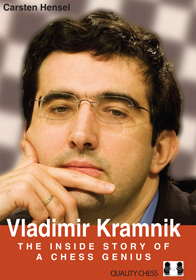 A new book we have on the way is Vladimir Kramnik – The Inside Story of a Chess Genius by Carsten Hensel. The title describes the content well, but to add a little, Carsten Hensel was Kramnik’s manager for many years, so this biography really is the inside story of Kramnik’s life and career. Since you are reading a chess blog, I am sure you know there have been plenty of dramatic matches in Kramnik’s career: Kasparov, Leko, Topalov and Anand. This book takes the reader behind the scenes with Team Kramnik. The book was originally published in German, so ours is an English translation with, I would claim, many improvements and updates. We have created an excerpt. Please note the colour photos – 16 pages of them in total. This book will be published in hardcover on November 14th. 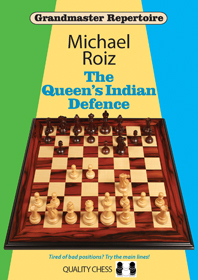 The second in our trio of new books currently printing is The Queen’s Indian Defence by GM Michael Roiz. This is the companion volume to The Nimzo-Indian Defence (note the clever way we varied the two books’ colour scheme). 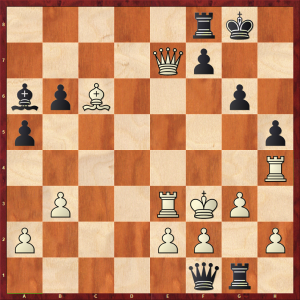 The new book covers the QID (obviously) but after 1.d4 Nf6 2.c4 e6, in addition to 3.Nf3 b6, it also covers 3.g3 (the Catalan) and weird 3rd moves by White. 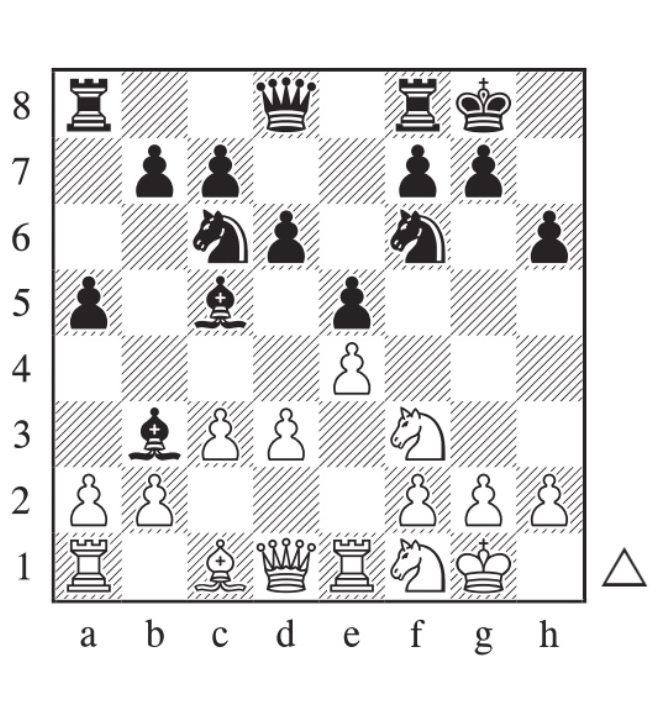 So together the two books create a complete Black repertoire after 1.d4 Nf6 2.c4 e6. We will announce a publication date very soon, but for now there is an excerpt giving away a whole chapter of the Petrosian System. 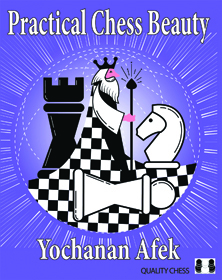 I am pleased to report that Practical Chess Beauty by Yochanan Afek is at the printers. We will announce a publication date soon. And on the topic of announcements, I will have news about two other books early next week. But to return to Afek, we have created an excerpt. It was a difficult decision what to include in the excerpt, as there is spectacular chess on every page of the book. But I did manage to include the solution to the position I shared in an earlier blog post. Having had fun debating the Swiss system, let’s move on to something less contentious. What is the strongest way forward here? 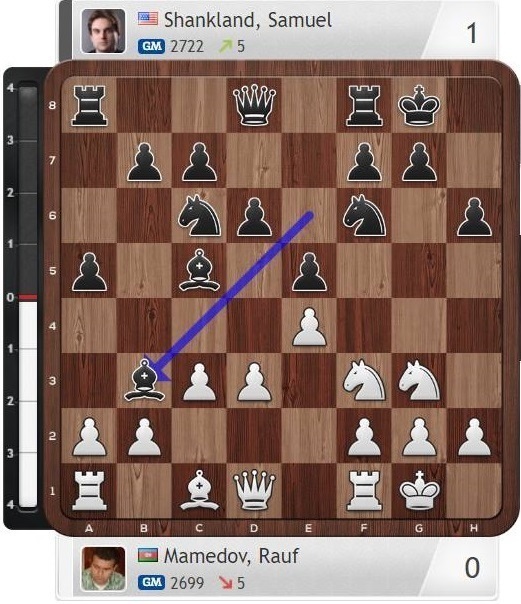 I am going through a lot of games from the Olympiad at the moment and this one really caught my eye. See how author of The Modern Tiger improved his positions here. If you don’t buy Sam’s book, you may suffer the consequences! During the Batumi Olympiad 2018, Sam Shankland met across the board Rauf Mamedov, Azerbaijani GM. Rauf didn’t buy Sam’s book and I know! How? Well, he did exactly the kind of mistake Sam warned about in his book, Small Steps to Giant Improvement, proving once again that every chess player, regardless titles, can make simple mistakes that cost dearly. What kind of simple mistakes have you made and you still remember them? We are continuing our special offer – if you buy three books or more and live in the normal European Union zone (as defined by UPS – for example, they exclude some islands and remote areas) we will send you an extra book free. Please note that if you buy a Special Offer and are in the EU zone, we will add one free book. For example, the Grandmaster Preparation Special Offer is 6 hardbacks for the price of 5. So if a European buys that, we send Jacob’s 6 GM Preparation hardbacks, plus one free extra book.